Magazine lovers will be happy to learn that Zinio has come to Android today, bringing thousand of issues along for the ride. The application is free, however each magazine comes with their own prices for subscription. For instance, ESPN runs $14.97 US for 26 issues (1 year) while Rolling Stone is $19.95 US for the same. Depending on what your interests are, there are upwards of dozens of titles to choose from. At launch, there are more than 20,000 magazines to download across Honeycomb tablets and select 2.2/2.3 handsets. 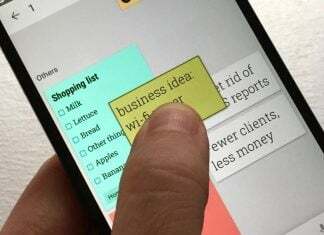 To help generate interest and buzz in the app, Zinio is tossing in 24 free magazines to download, including recent issues of Cosmopolitan, ESPN The Magazine, Harvard Business Review, Men’s Fitness, O, The Oprah Magazine and Us Weekly. 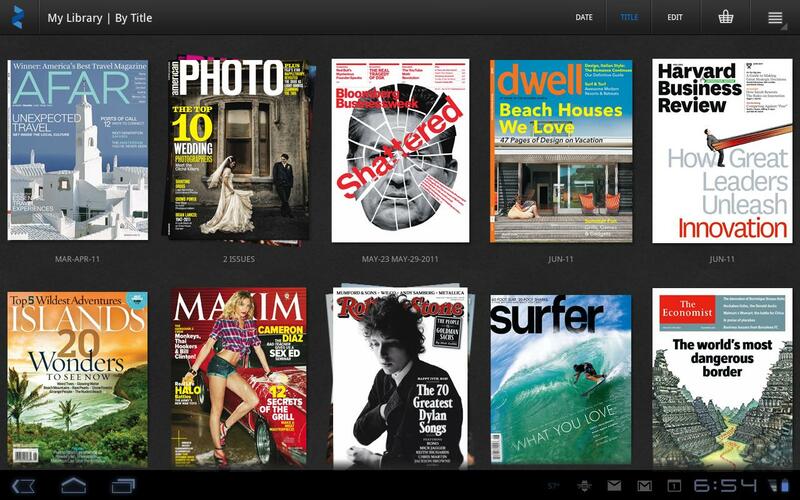 We’ve spent a few minutes playing around with Zinio today and are truly impressed with the selection. Nearly every title we could think of was present, with some at bargain prices. While others were a tad pricey as compared to Barnes & Noble’s offerings, we like the all-in-one approach here. 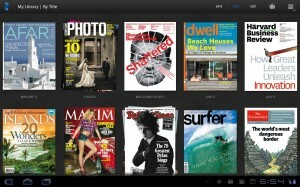 Zinio lets users read magazines across various platforms, including desktops and latops. “Zinio offers the greatest breadth for magazines today, both in terms of device and platform availability and sheer number of titles globally. We continue to deliver new features and platform availability that allows our users to enjoy their favorite magazines in the most compelling way. In the coming month, we will also be introducing new ways to explore and enjoy digital content” Rich Maggiotto, Zinio president and CEO.